We have been through such a powerful time of ministry recently in South Africa and Kenya. In fact it all took place in a 30 day period and we felt we should try and share some of the highlights and testimony with you. 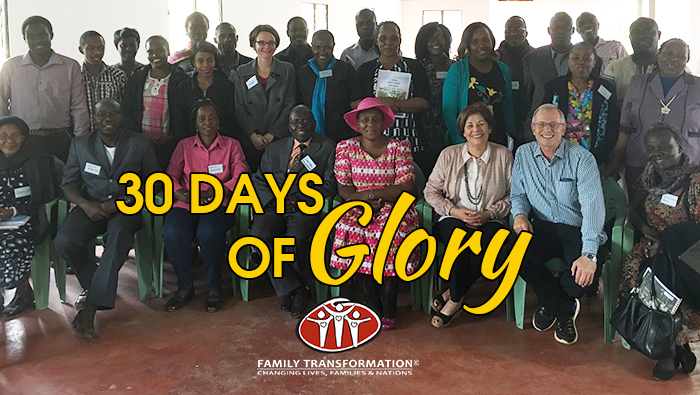 We have called it “30 Days of Glory”. We also launched our 2 new courses Kingdom Lifestyle Wellness and Finding Emotional Wellness in a Stressful World in Kenya. The training was attended by leaders who have influence into over 500 churches. Some of these are in the DRC Congo so it is a huge new open door for the ministry. Please click on the following link to see this short video as we give thanks and praise to God for the many lives touched and changed.